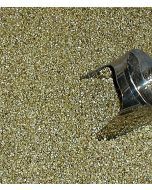 The IncuKit XL™ for reptiles is an all-in-one kit designed to be the heart and brains of a homemade reptile incubator. It allows you to convert a cabinet-sized enclosure into an incubator! To make your own incubator, you can use anything from an old refrigerator to a custom built cabinet! Simply choose your enclosure and install your IncuKit XL™ for reptiles unit inside. Pretty cool? Well, actually it's pretty hot and it works very well. 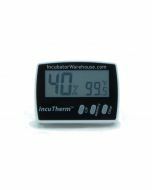 The IncuKit XL™ for reptiles has been redesigned to work specifically in reptile incubators that require lower temps! Basic Thermostat module: This is a standard on/off thermostat. This means that when the temperature hits a certain point, it turns the heater off and then back on full power once the temperature drops below a certain point. It will control the heater and fan. 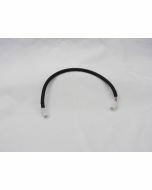 This comes pre-set to 99.5 degrees F but is fully adjustable to the temperature required for reptile eggs. 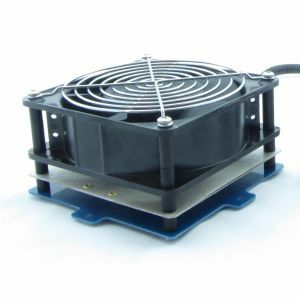 1 x 125 Watt Heater/Fan: This heater/fan is great for providing heat to medium to large size reptile incubators. The included wire adapter makes it so the heater and fan turn off once the desired temperature is reached. 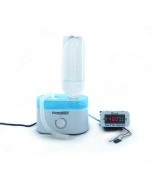 This helps to minimize the drying out of eggs and overheating the incubator. To determine if the included heater/fan unit will provide enough heat, a simple light bulb test will help. Get light bulbs that will generate enough heat to easily warm your incubator to at least your desired temperature. See how many watts are required and that will help you know which option to select.